Twitter is my favorite social platform, it’s always been the one for me. But it was like a bad relationship, we had this sort of on and off thing going on. I used to spend so much time tweeting it was frustrating. At the beginning, I could feel my chest throbbing with excitement but by the end of the day, I would feel like crap. I didn’t get any new leads, sales, or followers. I was wasting my time so I stopped using Twitter as one of my marketing channels. But I could never help myself and always went back. I loved it and it seemed to me like the platform was calling me. This may sound odd to you but bear with me for a moment. I’m going to share with you how I was finally able to be productive, resourceful with my time, and get results ─ get more leads and sales. Unlike most social platforms out there, Twitter is unique. In my opinion, Twitter is a native social platform. Let me explain, from the beginning, it was created with conversations in mind. The intent was to build a platform where people could interact with one another. The 280 character tweet resembles an SMS. 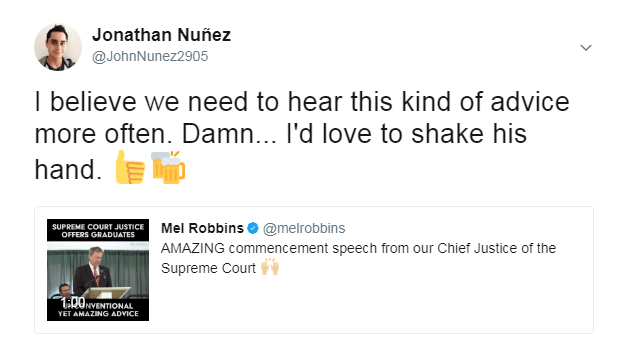 I believe this to be one of the things that make Twitter unique. It also gives us the ability to “listen” to what others are saying. That’s the key to awesome Twitter marketing. Most people Tweet trying to get attention and most of the time, they don’t get it. That’s where the opportunity lies. For people like you and me who know better, this is a gold mine. There are so many tools available to us today and I’m sure you’ve probably tried a few by now. Most of them are expensive and don’t give us the ability to queue our engagement. But there’s one that shines above the rest. It allows you to run targeted searches and schedule your content. This dashboard is Twitter's property and it’s completely free to use. All you have to do is head over to tweetdeck.twitter.com and sign in with your Twitter account. There are 15 different types of columns you can choose from. All you have to do is click on the “+ Add Column” button and select the type of stream you want. One of the reasons I was miserable when I started using Twitter was because I engaged with every tweet. I wasted a ton of time and didn’t get the results I wanted. If you narrow down on your search and you are specific about what you want. You’ll be more productive and get better results. Focus on what's important to you. Most of the tweets we send won't get a lot of engagement. What we can do in this case? We interact with people first. When we show a genuine interest for someone else, they give us their attention and reply. Of course, there are some exceptions. Some people are busy or are way too popular and get hundreds, if not thousands of mentions each day. 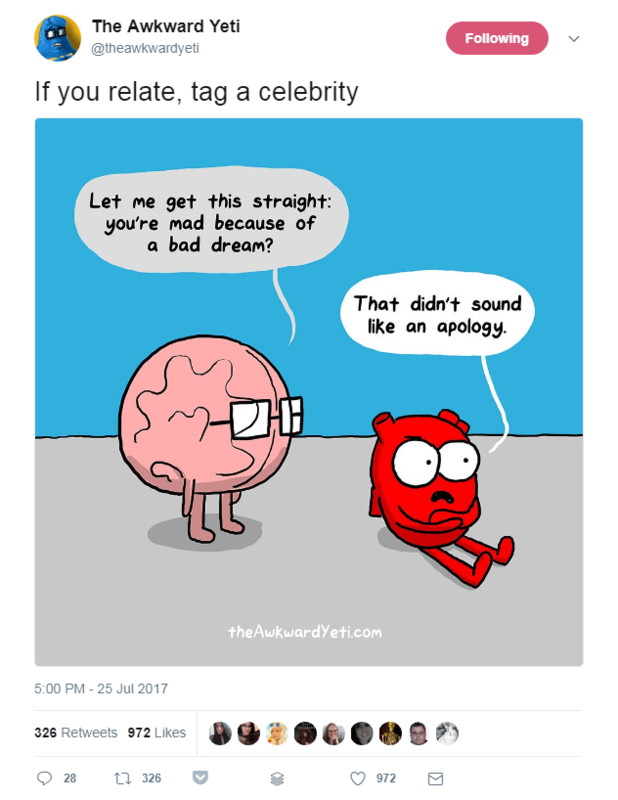 Think people like Taylor Swift or Jimmy Kimmel, for example. This makes it difficult for them to reply to all and you most likely won’t see much engagement from your efforts. Focus on people who are big enough to help you get more exposure but not too big you’ll be lost in the sea of tweets. If you are clear about what you want. You’ll be more productive and get better results. 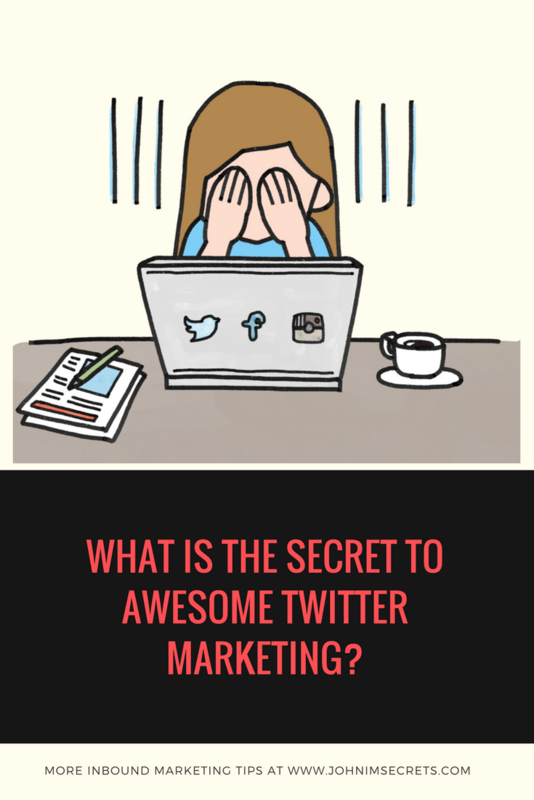 What Is The Secret To Awesome Twitter Marketing? I started using Twitter for the first time back in 2011 but I didn’t know how to use it. Unfortunately, Twitter didn’t do a great job at explaining how to use their app. I couldn’t start conversations about topics I liked because I didn’t know how to search for them. 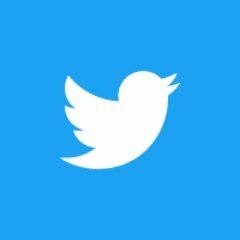 Twitter has improved their platform and is better at explaining how to use their app. Still, let’s not forget that most people won’t search and start conversations on their own. Look, Twitter marketing is straightforward. You search for topics you are interested in and then you tweet to people. Simple, right? It’s not rocket science. It’s simple but can be crippling when you aren't knowledgeable about the topic at hand. Let’s say you go to a bar with your friends and the game is on ─soccer, football, baseball, tennis, whatever you want. Your friends start to talk about the highlights and their points of view. You can feel your anxiety growing and your chest throbbing because you don't like sports. The social pressure is great and makes you feel stressed. You start to feel lightheaded. You have a bad time. Twitter marketing is no different. This is what happens when you start a campaign and don’t know enough about your topic. I won’t say you have to be an expert but you need to have some knowledge and/or experience to add value to what others are saying. If you are getting started and don't know much ─or nothing─ about your industry. You can use that to your advantage. Ask questions and make them meaningful. Personal: It can only be answered from their perspective. Meaningful: Thought-provoking (it makes you think). Open Ended: Elicits a story (not just "yes" or "no" answers). We are not the only ones sharing content on Twitter, so why not take advantage of this and curate cool content? It gives you content to share and it’s a nice way to connect with people you haven't acquainted. It’s up to you to decide if you want to add something to the existing tweet or not. You got people’s attention and they took the time to reply so why not have a conversation with them? Feedback (products, articles, content, etc.). Get exposure to a new audience. Increase reach for future tweets. Those are a few of the benefits you can have by engaging with people on Twitter. Do you feel like replying now? 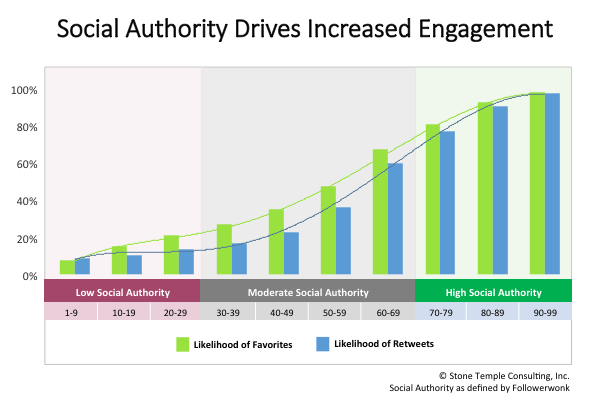 Stone Temple did some research and found that social authority drives increased engagement. Consider this when you create your Twitter marketing strategy. The whole point of Twitter is to start conversations. As marketers, we have to nurture leads and provide an awesome customer experience. A great example of this is Buffer. They always reply to tweets coming their way and at the end of their tweet, they add the name of the person serving us. Because they understand it’s not about them. It’s about us and what we need. As humans, we love interactions with people, not with companies. By typing their names, they’ve built amazing rapport. We are no longer talking with Buffer but with Hailley, Kevan or Brian. And in case you don’t believe me go and send them a tweet. Ask them a question @Buffer and see how they reply. They make you feel appreciated. Do that with your audience and see how they respond. There are many things we can do on Twitter but not everything is effective and it doesn't mean that we should do it. That’s the fastest way for you to waste time, energy, and resources. 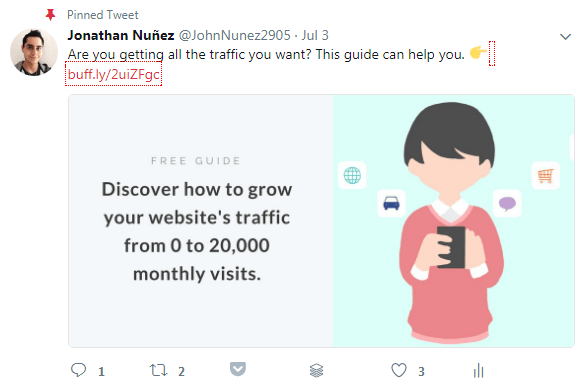 Here're 7 data driven tips you can do to improve your Twitter marketing and get more engagement, leads, and sales. This is one of the mistakes I see most often on Twitter. For some reason, everyone wants to take people away from Twitter. And we don’t take the time to consider the alternative. How am I supposed to sell my product or service if I can’t take them away from Twitter? Think about it, we hate being sold stuff but we love buying. Instead of hard selling why not make them want to buy? Each tweet they send gets a lot of engagement and that’s no fluke. Their strategy is on point and they start many conversations. By doing this, they build rapport and from time to time they send a promotional tweet to visit their e-shop. This is Jab, Jab, Jab, Right Hook 101. Tweets with hashtags get two times more engagement than tweets without. Unlike on Instagram where using 20+ hashtags is ok, you shouldn’t use more than 2. A study by Buddy Media found that when you use more than two hashtags, your engagement drops by an average of 17%. Social Quant did a study of close to 500,000 tweets. Each tweet in the sample got at least one retweet. They found that tweets with at least one hashtag made up 68% of all retweets in the sample. Engagement on these studies is defined as clicks, retweets, favorites, and replies. Hashtags are a powerful tool that allows you to expand your reach and tap into relevant conversations. Focus on keywords that are relevant to your business. Best practices recommend using no more than two hashtags per Tweet. A service I like to use is hashtagify.me. It’s free to use, gives you a popularity score, and shows you similar hashtags you can use. 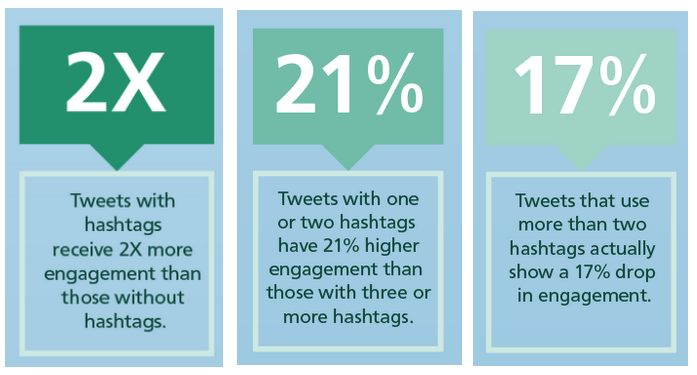 When you use more than two hashtags, your engagement drops by an average of 17%. 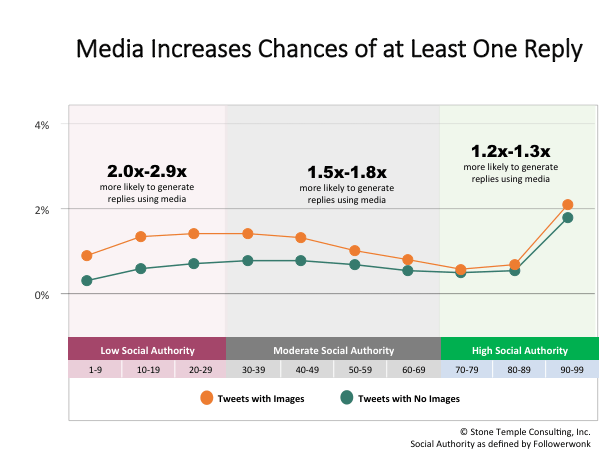 Do images help create impact and result in more social sharing? We’ve all heard that a picture is worth a thousand words and many studies show how media (images and video) impacts social media engagement. But how much? And how does that vary by social authority? 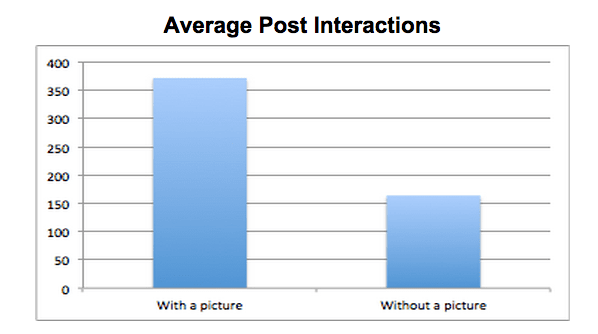 Posts without an image had 164 interactions on average (shares, likes, comments). Posts with an image had an average of 372 interactions. Adding a bold image, video, or GIF to your Tweets adds a touch of personality and leads to higher Tweet engagement rates. In fact, people are three times more likely to engage with Tweets that contain videos and photos. People are three times more likely to engage with Tweets that contain videos and photos. Engagement on Twitter is about retweets and favorites but what about replies? As we can see in Stone Temple's study, retweets and favorites are frequent events on Twitter. 36% of all tweets get at least one RT, and 43% of all tweets get at least on Favorite. Yet, the story with replies is quite different. 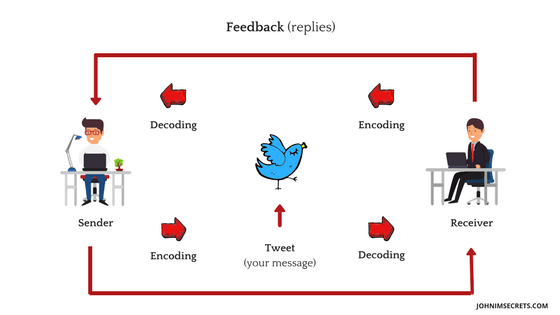 Only 0.7% of tweets get a reply. That means there is a big broadcasting behavior occurring on Twitter. This both represents a problem and an opportunity. 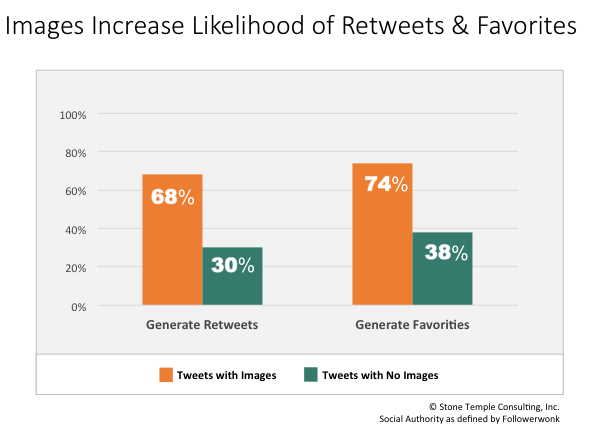 Engagement is usually defined by RTs and favorites. So, what happens when you start conversations? Considering all I know about Twitter marketing and the many case studies I’ve read. I can tell you that @ mentioning people in your tweets helps increase odds of at least one retweet. Most people only tweet headlines. That’s ok if you want to lower your chances of getting the author’s attention. If you want to increase them, add your two cents on all your tweets and @ mention the source. 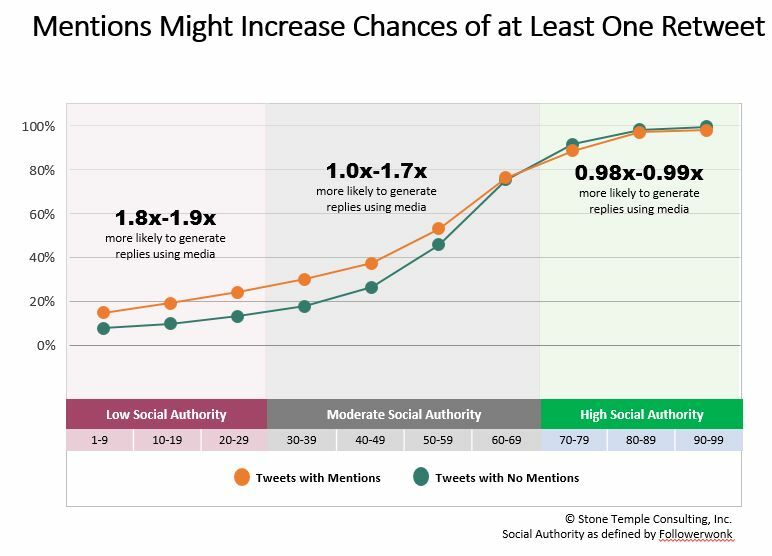 According to Stone Temple, for the 1 to 59 authority range, the impact is positive (at least one RT or Favorite for your tweets). But it changes for higher authority users, where the impact becomes more or less a wash.
We aren’t the only ones creating content. Why not take advantage of this and retweet something your audience might like? After that, all you have to do is to add your point of view. Simple, right? Start a relationship with someone in your industry. Be considered an authority in your industry. Your audience gets to know more about you. Those are a few of the benefits. Knowing those facts, don’t you think it’s worth doing? You’ve heard this a million times and let me tell you something, don’t believe the studies. There’s no such a thing as a right time to share in social media. There are many studies out there that claim to know the best time to share on social media but that isn’t true. The problem with those studies is their broadness. They go through many industries to figure out “the best time to post”. But each business is different and the same is true for audiences. If you are new to social media and don’t have an audience, then it’s a good place to start. But if you already have an audience, you need to stop paying attention to those studies. They are pretty much useless to you. Still, there’s a "best time to share" and I’m going to tell you how to find it. The simplest and fastest way I know is to use a tool called Tweriod. They tell you the time when most of your followers are online, and the time you are most likely to get replies. It's useful and handy. Give Tweriod a try. Let’s be honest, Twitter lists aren't used much. Yet, they are one the best things Twitter has to offer. Twitter lists allow you to curate tweets from a selected group of users. Lists also give you a better experience. Create a lead and prospect list. Create a list for your top sharers (super fans). These are a few examples of what you can do with Twitter lists but there are many more. The cool thing about lists is that you can choose between making your lists public or private. The difference between the two is that with public lists, anyone can see and find the list. Also, users will get a notification telling them you’ve added them to your list. 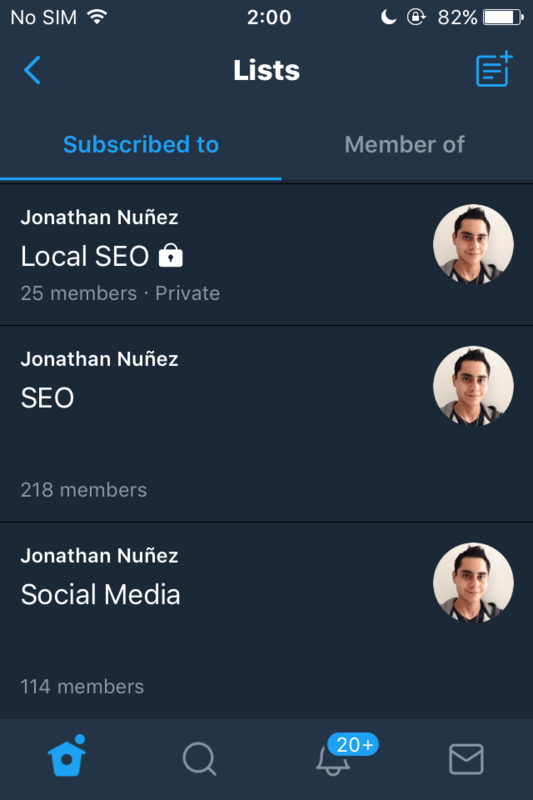 Private lists are completely private and only you will be able to see them. Users you add won’t know about it. Sprout Social created a great guide where they explain how to use them in detail. I recommend you give it a read. How Can I Use Twitter for Content Marketing? When I got started using Twitter as a marketing channel, I struggled. Ok, I’ll come out and say it. I was miserable. I didn’t know what to focus on and would be all over the place. In other words, I didn’t have an action plan. That’s where KPIs come into place. No marketing strategy is complete without measurable goals you can achieve. Without goals, objectives, and milestones, you’ll continue to make the same mistakes. How else would you know what works and what doesn’t? Altimeter did a survey of 1,000 companies and found that 41% of them had no idea whether or not their social media efforts were paying off. Click to reveal Altimeter's findings. Instead of publishing content and hoping something positive happens. Why not create an action plan and measure your results? That way you can do more of the things that work and less of what doesn’t. Wouldn’t that be better? Sprout Social wrote a great guide where they explain how to calculate your social media ROI. I strongly encourage you to check it out. Now that you know how to measure your results, let’s get started. There are many tools out there but I’ll only share with you the ones I love and find most useful. I love BuzzSumo because it’s easy to find the most popular content and see who shared it. After that, all I have to do is reach out to them and share my content. Ahref’s content explorer is similar to BuzzSumo but it gives you many different tools to help you promote your web properties. BuzzStream’s primary focus is towards outreach. You can quickly find influencers and it keeps track of all your conversations. It also lets you know when a period of time has passed so you can follow up. I know this can feel overwhelming but bear with me for a moment. I’ll do my best to give you examples that are simple and easy to understand. Any "filter:type" can also be negated using the "-" symbol. I want Tweets from @Nasa with all types of media except images. Combine complex queries together with booleans and parentheses to refine your results. I want mentions of either "puppy" or "kitten", with mentions of either "sweet" or "cute", excluding Retweets, with at least 10 likes. I want mentions of "space" and either "big" or "large" by members of the NASA astronauts list, sent from an iPhone or twitter.com, with images, excluding mentions of #asteroid, since 2011. What Can I Do To Promote My Content With Twitter? I know you may have heard the buzz in the industry saying “Twitter is dead” and garbage like that but it’s not true. Twitter is alive and it’s growing. Statista shared a timeline with the amount of monthly active Twitter users worldwide. As of the second quarter of 2017. There are a few ways to promote your content. All you have to do is choose the one you feel most comfortable with ─or make a mix of two or more. It’s up to you and the strategy you come up with. Many big names in the industry like Neil Patel, Brian Dean, and Sujan Patel (among others) recommend this technique. And they do it for a reason: It works. Most people do it wrong. They use templates shared by the giants in the industry and expect them to work. When they don’t, they whine and complain saying it doesn’t work. They were doomed to fail from the start. In most cases, those templates are used thousands of times and are associated with SPAM. 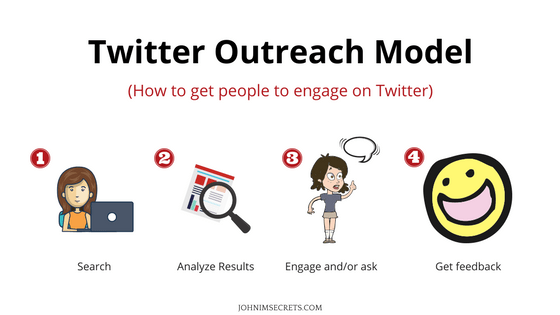 What you need to do is to create your own personal outreach. I wrote an extensive guide where I teach you how to write it. I call it Humanitas Technique. I recommend you check it out. So how does email outreach work? Step 1: Find people who write and share content about your industry. Step 2: Write your email outreach and ask for help sharing your content. Step 3: Thank them for sharing your article. Well, that's what most people do and their results aren't outstanding. If you want to get their attention, you need to provide value first. I share that and more on the Humanitas Technique article. Pinned Tweets are super effective. When someone lands on your Twitter profile, it’s one of the first things they see. It gives exposure to any Tweet you want and it’s great for lead generation. Scheduling your Tweets is one of the best ways to share your content on Twitter. You can reach your audience when they are online and odds of getting a reply are higher. This is a more unconventional approach. Instead of waiting for people to find you, you go to them. It’s simple but somewhat time-consuming. Still, the results you can get are outstanding. If you want to have the best results, you need to know your content pillars. Step 1: Set up your streams. Step 2: “Listen” to people’s conversations. Step 3: Reply and answer their question. Step 4: Suggest they check out your piece of content. The bystander effect is a real problem. Reaching out helps reverse the bystander effect and ensures you get their attention. Do you want to promote your content? Why don't you try #Twitter outreach? While Twitter can be overwhelming in the beginning, it quickly becomes your best friend. All you have to do is learn what to look for and focus on those things. Don’t lose sight of your goals. Important: It’s easy to get distracted on Twitter so stay away from your news feed. What's your biggest Twitter marketing struggle? Awesome guide here. Really detailed and touches almost every aspect of twitter marketing. For automation, I’m a fan of both buffer and social jukebox. They are both my best. I love buffer as well, I use it all the time. Another cool tool you can try is Nuzzel, it helps you find high-engaging tweets. I use it to start conversations and curate cool content. I agree, most people underestimate the power of conversations on Twitter. The moment I started testing “conversations” my overall engagement went through the roof. Thanks. Looking forward for more informative articles.